CORVALLIS — Ilene Cann, FNP-C, will join The Corvallis Clinic QuickCare convenience clinics in December. To make a same-day, online appointment at either QuickCare-Corvallis or QuickCare-Albany, go to www.quickcare.clinic. Ms. Cann earned a Master of Science– Family Nurse Practitioner, from Gonzaga University in Spokane, WA, in 2017. She is a certified by the American Academy of Nurse Practitioners. Prior to becoming a family nurse practitioner, Ms. Cann worked from 2007 to 2016 in various capacities as a registered nurse for Trillium Family Services at the Children’s Farm Home Residential Treatment Center in Corvallis. 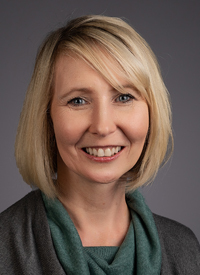 She has also worked as an RN at The Corvallis Clinic Anticoagulation Department, the Beloit Residential Treatment Center in Ames, IA; and at the Wolfe Clinic, Otolaryngology and Facial Plastic Surgery, in Des Moines, IA. Ms. Cann enjoys photography, gardening, reading and drawing. She and her husband have two sons and a dog and a cat. QuickCare, a service by The Corvallis Clinic, offers same-day online appointment scheduling and an upfront menu of services and prices. With locations in Corvallis and Albany, QuickCare provides treatment of minor illnesses and injuries, wellness checkups, sports physicals, and preventive care, along with some lab services, for those two years and older. For an appointment, go to www.quickcare.clinic. The Corvallis Clinic, an independent, physician-led medical group, is a comprehensive multi-specialty organization, serving Benton, Linn and Lincoln counties. It offers more than 100 board-certified physicians and advanced clinical professionals in 27 specialties at 10 area locations. As the fourth-largest area employer, The Clinic has 600 employees.